Mystery packs are great for crafters. There are various pieces/cutting from ALL of our leather lines such as Divine Line, King Line, some might be leather to resemble Alligator, Stingray, Ostrich, Lizard, Tooled all embossed cowhide etc. ***THESE MYSTERY PACKS ARE PREPACKAGED. WE CANNOT SELECT SPECIAL PIECES FOR YOUR ORDER. ALL SALES ARE FINAL. The picture is not the exact scraps you will get, but it is a good representation. 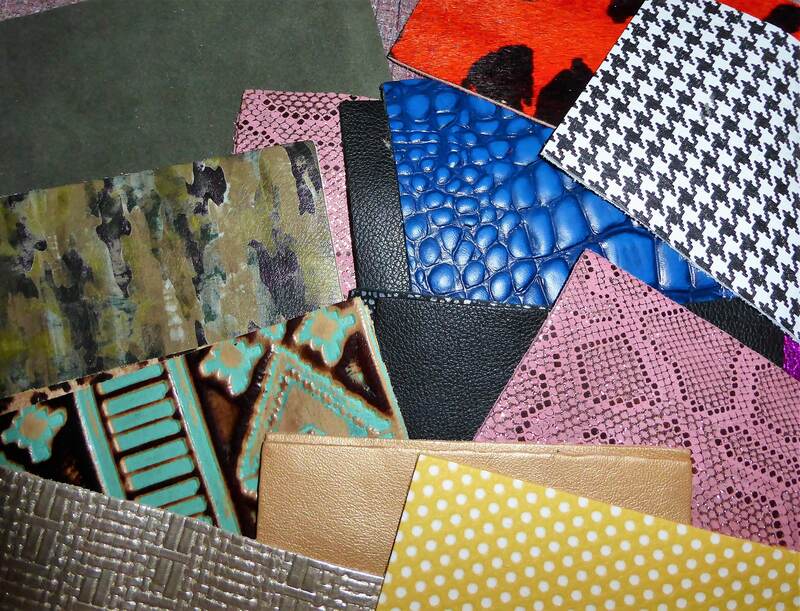 A gorgeous sampling of beautiful leathers. Can’t wait to try my hand at leather earrings with these leathers!